I learned about Mawashi when I was finding remixes for my "Artist Remixed – The Beatles" post, discovering his electro upbeat remix of Birthday. 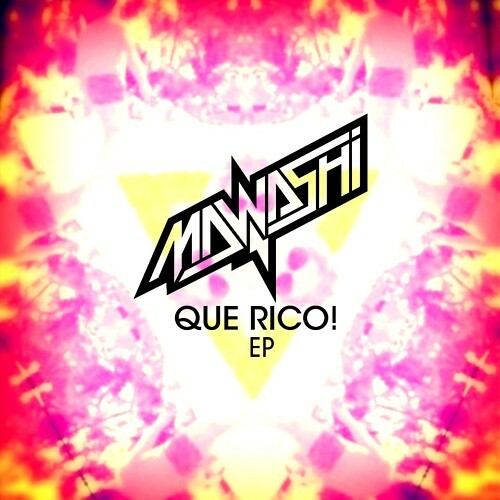 After contacting Mawashi I learned about his recent EP "Que Rico!" and instantly fell in love. This Chile native is providing a new feel on the electro scene that i'm quickly falling in love with. The new EP has 3 singles all of which are bangers in total different ways. The first is a almost moombah sounding with a smooth mix of vocals that flow over you easier than water. Very upbeat and happy and provide a different look on the original electro scene were often seeing repeated and repeated. The second track is probably the heaviest on electro of all three. Again Mawashi provides a smooth mix of vocals with a Chile electro feel. The vibes in this track are insane as a scratching synth is mixed with the vocals "Oh Yeah!" Enjoy. The third track is by far my favourite of all three and provides YET AGAIN a amazing mix of vocals with a authentic Chile electro feel. The vocals is this last track are so energetic and positive. This track is by far one of the best up beat tracks I've heard in a long time and no matter where I am, whenever I play this will have people dancing. Not too heavy electro but when a drop is needed provides a perfect dance beat that will instantly traumatize anyone listening to the track. Enjoy! I certainly did. You can download the whole EP here. I know right? Like their production is actually so dope. I'm loving Mawashi. Make sure you follow them on Facebook and Soundcloud! Lets give our fellow artist some support!